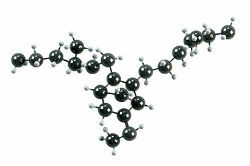 Searching for FDA approved carbon black fillers? ERIKS is your partner! What are carbon black (FDA approved) fillers? What are fillers, and which fillers does ERIKS use? The effects of fillers depend on different conditions, under which: particle surface activity, particle size, particle surface area and particle shape. The FDA stands for the Food and Drug Administration, which means that all our products are tested and can be used in the food industry. Rubber products that are not FDA approved can cause problems for customers, but also for producers. To make sure our products get the FDA ‘stamp’, all our products are handled and packed in a class 100 clean room environment and are tested to meet the required demands of the food processing and beverage applications. Pollutants can occur in forms such as dust, aerosol particles, airborne microbes and chemical vapors. A clean room has a very strict controlled level of contamination. The level of contamination is often measured in particles per cubic meter. ERIKS has an 'A class 100' clean room where the environment is controlled to have as few pollutants as possible. Having some questions about carbon black FDA fillers? When you’re having questions about carbon black FDA fillers, please feel free to contact one of our locations.